1. HALLOWEEN comes from the Old English "All Hallows Eve" or night before All Saints Day. 2. 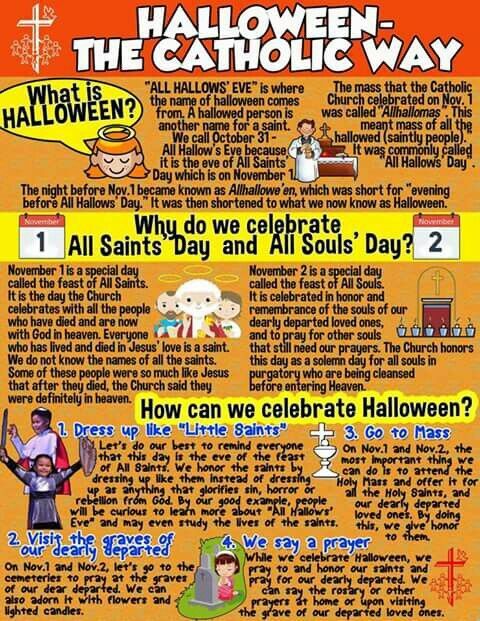 This is a Christian celebration of all the Saints who have died and gone to heaven. 3. The first account showing a celebration of this feast comes from St Ephrem the Syrian (d. AD 373). The dates of this feast varied. 4. In many areas Christians dress up as Saints and Angels and learn of their stories of Faith. 5. 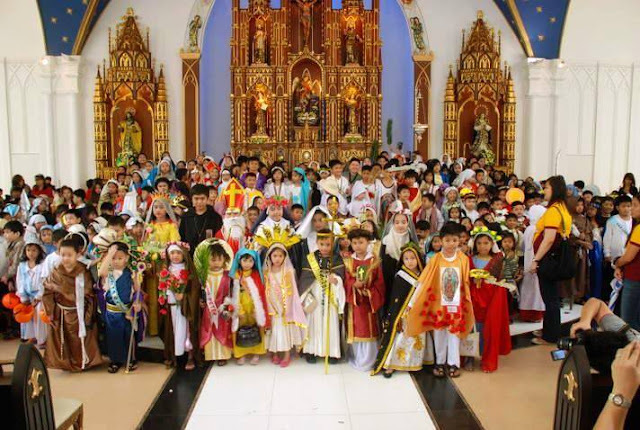 This feast has become paganized and now many dress in other costumes without realizing the origins of this feast. 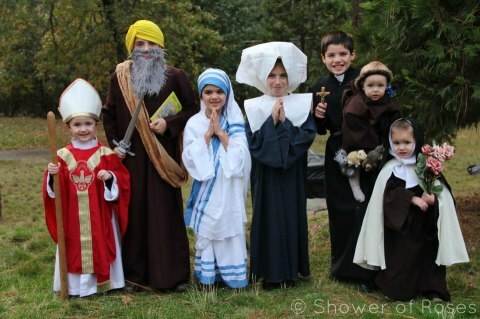 This Halloween consider dressing up in honor of a Saint or Angel from heaven who's life was a witness to the unending love of God for you. Please SHARE this Article with Friends via Social Networks or Email!